What could be one of the frustrating things that could ever happen to you is when a theft steals all your hard-earned possessions simply because you do not have a strong security system. Aside from material things getting stolen, your safety is at risk as well. Especially if you have little kids in your household, you must consider investing in an automatic gate opener. An automatic gate opener will help you to protect your family from unwanted intruders. Hence, we’ve created a list of the top 10 best automatic gate openers that you can buy in the market online. 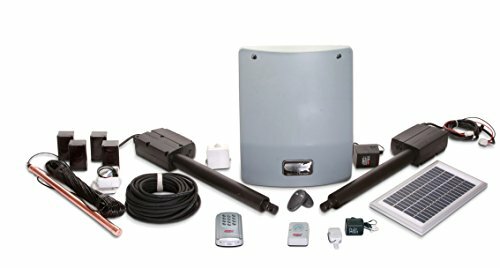 The following models will keep you safe and secure in the comfort of your own home. 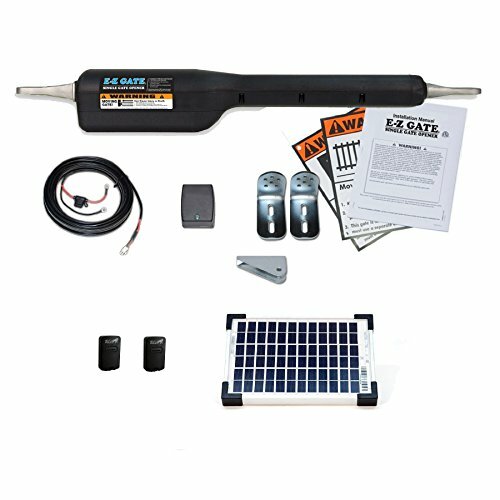 First, we have the solar gate opener kit from the Mighty Mule. This E-Z gate kit includes the gate opener package, two remote controls, and one 50watt solar panel. It is ideal for homeowners who’d like to save money in the long run. The E-Z gate single swing gate opener is engineered to cater gates up to 16-feet long and weighs up to 550 pounds. The system is compatible in almost all gate types—be it ornamental, tube, vinyl, or even wood material. To function accordingly, it will require a 12-volt automotive or marine type battery. You don’t need to be an expert to install the product for you can do it by yourself. This is one of the all-inclusive kits that does not require any welding or services from an electrician that we’ve found in the market so far. The user DVD will serve as your guide in simple installation. Since it’s solar, you can reduce your energy consumption by up to 30%. Buyers can enjoy up to one-year limited warranty upon purchasing the product. Next, we have the rack driven sliding gate opener from Aleko. 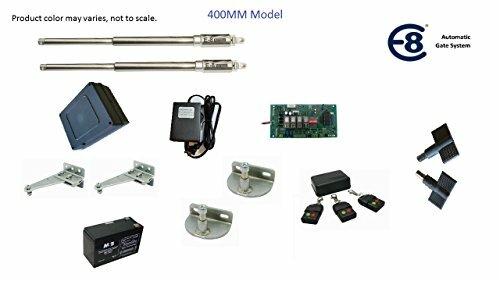 This gate opener system is suitable for gates weighing up to 1400 pounds and at least 50 feet in length. It features an user programmable and user erasable remote codes that can support up to hundred remotes on its own or purchase the external receiver to get the most out of the product. The main material for this gate opener system is aluminum alloy chassis that’s resistant to rust and corrosion but still light enough to carry around. We also like how this model is programmed to stop and reverse if it happens to encounter any obstacle while opening or closing the gate. The package includes one AC 100V motor and two remote controls. All needed hardware is also included in the package. Once installed, you can achieve peace of mind knowing that your house is safe from thieves and burglars. Check out this automatic sliding gate opener from Biltek that’s compatible for gates up to 40-feet long and weighs up to 1400 pounds. It comes with two wireless remote controls. The auto-close feature can be set to 12, 24, or 36 seconds with the option to disable. For those who are not inclined in technology that much, do not worry because this system utilizes slow stop functions and adjustable soft start. You can use the pedestrian mode to open the gate for up to 5 feet, allowing the people to pass through without difficulty. The four-button remote can open, close, stop, or use the pedestrian mode on the gate. It also features a safety feature that will automatically stop and reverse if there is any obstruction while closing or opening. 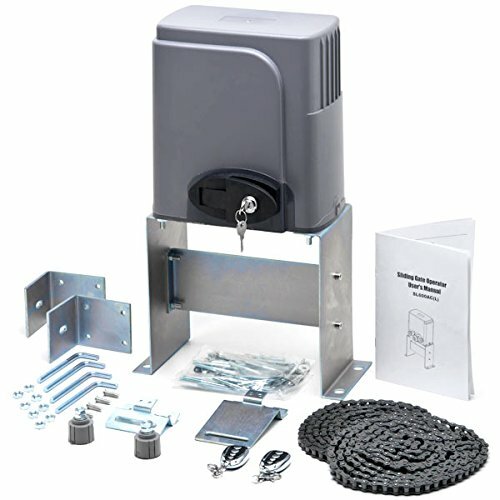 If you are willing to spend an extra hundred dollars for the safety of your family, you might want to check out this commercial-grade automatic gate opener from US Automatic. The package includes two remote transmitters, all mounting hardware, battery charger, linear actuator, AC transformer, and an installation DVD. This gate opener system is powered by a 12-volt DC battery. Thanks to its optional solar panel kit, you can save money in the electricity bills for years to come. 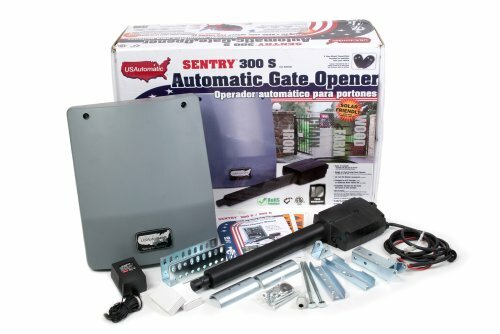 Give yourself the safety with this heavy-duty automatic gate opener. It eliminates the need for wiring, and it’s easy to install. You can buy a full line of solar accessories if you want to get the most out of the product. Open and close time is approximately 16 seconds. Buyers can enjoy up to three-year limited warranty upon purchasing the product. Next, we have the automatic gate opener from GTO/PRO. This gate opener is suitable for swing gate up to 20-feet long and weighing up to 1000 pounds. It features the access system’s true soft start and stops operation. The open and close time is 18 seconds and is much longer compared to the previous product that we’ve reviewed. The full systems capable of the single or dual control board and also includes an adjustable obstruction sensing, gate sequencing, and auto close settings. The dual applications will require the second operator arm PRO-SW4200XL. This professional-series swing gate opener is ideal for homeowners who wanted to experience a top-grade system without burning a hole in their pockets. Do not worry if you are on a budget because we’ve prepared something for you. Introducing the E8 stainless automatic gate opener that’s suitable for gates up to 26 feet long and 1200 pounds. It’s a screw-driven type system for added reliability and features manual release keys. The AC/DC with battery backup for power outages is a handy feature to ensure your safety at all times. It’s also solar compatible, allowing you to save money in the long run. Buyers can enjoy up to one-year manufacturer warranty upon purchasing the product. All mounting hardware is included in the package. If you liked the previous product we’ve reviewed from Mighty Mule, you might want to check out the FM500 gate opener system. It is one of the company’s strongest single swing gate opener that can accommodate gates up to 18-feet long and weigh 850 pounds. It’s a perfect choice for all gate types, even those that are made of wood. Unlike other gate opener system, you do not need to hire a professional or an electrician to install the product. Its quick and easy installation will allow you to use the gate opener system in just a short span of time. Buyers can enjoy 18-month warranty and technical support upon purchasing the product. 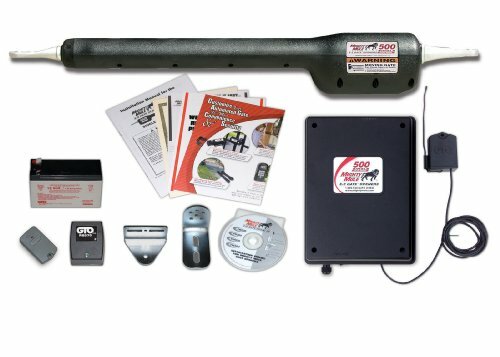 Mighty Mule is America’s do it yourself gate opener since 1987, and for that reason, we’re going to include one of their best-selling products again. This is the FM200 automatic gate opener for single swing gates that’s 12-feet long and weighs up to 300 pounds. You do not need to invest in a heavy-duty gate opener if you have a smaller gate, and this might be the gate opener system that you are looking for. For the system to function, it requires 12-volt automotive or marine type battery. You can save up to 30% of your electric bill using this system in the long run. Similar to other products we’ve reviewed from the same manufacturer, you can set it up by yourself. It takes at least three hours, and you can now use the gate opener system. 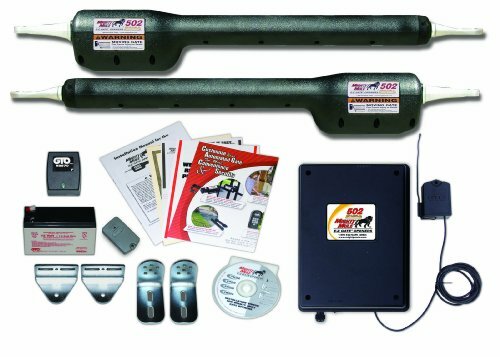 This is an ideal option if you are looking for a heavy-duty gate opener system intended for lightweight and smaller gates. 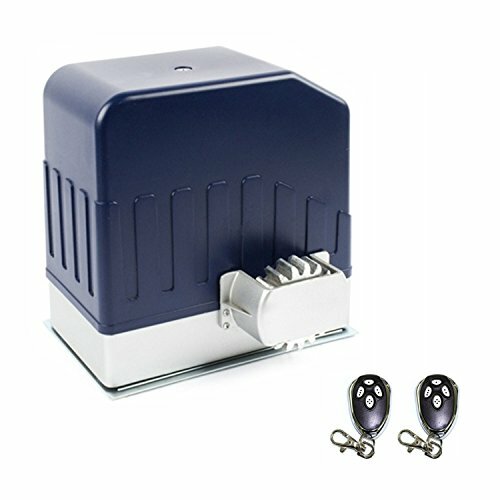 US Automatic is known for high-end gate opener systems, and if you have extra budget, you might want to check this product. This fully automated kit offers a solar option for charging that allows you to enjoy 30% of the federal tax credit. The Sentry is engineered to be installed in large gats up to 20 feet in length, regardless of the materials used. It is powered by a 12 VDC battery that can be charged through solar panel kit. It also helps you to save money in the long run because you do not need the AC power anymore in recharging the batteries. It’s a quick and easy installation with no wiring needed at all. In less than two hours, you can now start using the gate opener system. We will end our list with another product from Mighty Mule again. This automatic gate opener is designed for heavy-duty dual swing gates that are at least 18-feet long and weighs 850 pounds. With this brand product, you do not have to worry about the materials of your gate because it’s all compatible. Save the money from hiring an electrician because you can do it by yourself with the help of its interactive DVD that’s also included in the package. 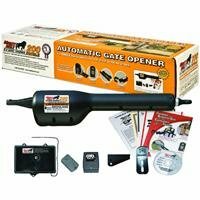 This heavy-duty gate opener system is efficient, elegant-looking, and easy to install. In less than three hours, you can have it working in your gate. Once purchased, you can enjoy 18-month warranty and technical support from the manufacturer.